Bayonne Kidets, Conquest Color Guard, and The Emerald Marquis. He is Currently the Program Coordinator for the AMP Indoor Color Guard Organization. Prior to his Role at AMP, he was also the operations manager with The Black Watch Independent World color guard for 12 years. 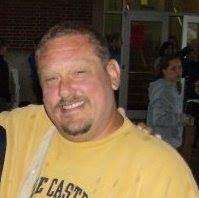 Matt has designed and instructed many NJ/PA High School Marching Bands throughout the years. According to Matt” Way too many to List them all”. 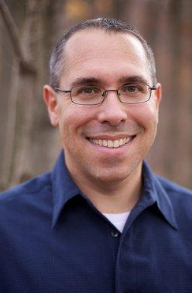 Adam Freeman is currently the Director of Bands at Hackettstown Middle School in northwest New Jersey. Adam graduated with honors from William Patterson University with a concentration in Euphonium performance and education certification. During his time there he was a member of the Wind Ensemble, Legion of Lows Tuba/Euphonium Quartet and was featured as a soloist with the High Mountain Symphony Orchestra. In his 10 years at Hackettstown both the high school and middle school bands have consistently received high marks and gained notoriety in the area for their performances. Mr. Freeman credits a huge portion of his musical training to the marching arts. He began marching in the Hawthorne Caballeros from 2000-2003 concluding with a DCA championship in 2003. He then went on to march The Cadets from 2004-2005 winning a DCI world championship in his final marching year. Adam went on to be Assistant Caption Head with the Hawthorne Caballeros in 2006-2007, then winning three consecutive championships as a low brass technician with the Reading Buccaneers. Through these years he also spent some time on the staff of the Cadets and the Jersey Surf. Previously the Brass Caption Head, Adam is now the Music Coordinator for the Hawthorne Caballeros. Adam is a music and visual designer for many bands including Wayne Hills HS, Kittatinny HS, Delaware Valley HS and Hackettstown HS all in New Jersey. Additionally writes for many bands in Florida, Arizona, Maryland, Pennsylvania and New York. He has taught and consulted bands in the Northeast. In addition to his responsibilities with the Caballeros, Adam was also the brass arranger for the 2014 Sun Devils Class A corps and 2015 Solaris Drum and Bugle Corps. He resides in Newton, NJ. Matt Blood is a percussion arranger, educator, and performer based out of the Southern New Jersey-area. He has arranged for many marching arts ensembles, including the Haddonfield Memorial HS Marching Band, InMotion Wind Performance Company, the Eastern Regional HS Indoor Drumline, the West Deptford High School Marching Band, the Hawthorne Caballeros Drum and Bugle Corps, and the Rutgers Marching Scarlet Knights. Currently, Matt is the Percussion Supervisor/Arranger for the West Deptford Band, Front Ensemble Caption Head/Arranger for the Hawthorne Caballeros, Front Ensemble Caption Head/Arranger for the Rutgers MSK, and a Front Ensemble Technician for WGI PIW Finalist United Percussion. This will be Matt’s third year with the Caballeros, and he is incredibly excited to be working with this fabulous staff in 2019. In 2013 Rich graduated from Millersville University with his degree in Music Performance and is currently living as a freelance percussionist in Lancaster, PA. He has actively served as a Marching Percussion specialist for many years now, currently working as the District Percussion Director for the Hempfield High School Marching Knights Program, Percussion Instructor and Arranger for Millersville University Marching Band since 2009 and a Percussion Program consultant for the Penn Manor Marching Band, Millersville PA.
Rich’s drum corps career began in 2006 with The Reading Buccaneers and continued up until his age out year with the Cadets in 2010. 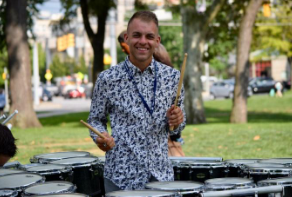 After aging out he soon joined the staff at the Jersey Surf in 2012 and has continued to work with the World Class Organization each year, now going into his 8th consecutive year involved in Drum Corp International. In 2013 Rich joined the education and instructional staff at United Percussion and served the World Class unit up through 2015. All of these years of involvement has allowed him to grow while facing the demands of the World Class activity and along the way has partnered with Joe Costable as he founded OTFAudio. This will be Rich’s second year returning to the Hawthorne Caballeros and is excited to work with the design team going into the 2019 summer season. In addition to his involvement with the marching arts activity, Rich has a regular orchestral performance schedule through the year and maintains a regular studio of private students. 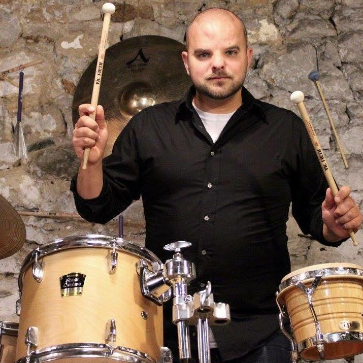 He proudly works as Vic Firth Artist and has been a member for the Vic Firth Education Team since 2012. Composer, conductor, clinician and educator, Chris M. Bernotas brings an energetic and enthusiastic approach to the world of music education and the marching arts. An active composer and arranger of concert band and string orchestra music, Mr. Bernotas is published with Alfred Music Publishing, Daehn Publications, Wingert-Jones Publishing, Northeastern Music Publications, Carl Fischer Music, TRN Music Publishing, and Bandworks Publications. Mr. Bernotas is the co-author of Alfred Publications Sound Innovations: Ensemble Development for Young, Intermediate and Advanced Concert Band, along with Peter Boonshaft as well as co-author of the Sound Percussion method books with Dave Black. Having a well-established history in the marching arts, Mr. Bernotas has written and arranged music for many drum corps and marching bands throughout the United States, including the Hawthorne Caballeros, Fusion Core, Connecticut Hurricanes, Rochester Crusaders, Magic of Orlando, and the University of Maryland’s ‘Mighty Sound of Maryland’ Marching Band. He also adjudicates for marching band competitions and festivals nationwide. Mr. Bernotas is an active guest conductor and presenter at clinics and conferences throughout the United States. Paul Nalesnik is a freelance percussionist, arranger, and educator based out of central New Jersey. He is currently the Battery Arranger and Caption Head for United Percussion, Battery Arranger for the Caballeros Drum & Bugle Corps, and Quad tech at the Cadets Drum & Bugle Corps. 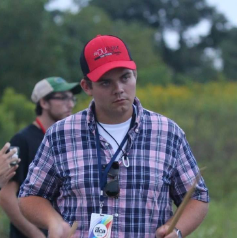 Paul also served as Battery Coordinator for the Crossmen Drum and Bugle Corps in 2014. In addition to teaching drum corps, he also was the Caption Head and Arranger for the Rutgers University Drumline from 2012 until 2016. 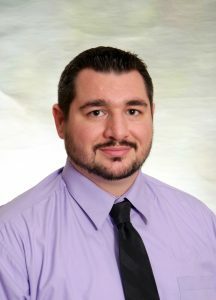 Paul taught percussion classes as an Adjunct Percussion Teacher at Immaculata High School and was a Percussion Consultant for the Arlington (NY) High School Marching Band. Presently, Paul is looking forward to serving as the Percussion Director for Marple-Newtown High School. His marching career began at United Percussion in 2009 and 2010 marching quads. He then went on to march the Santa Clara Vanguard for the 2011 and 2012 seasons. With SCV, he was a featured performer at PASIC in 2013. In addition to his marching performance background, Paul received second place at the 2013 Atlanta Modern Snare Drum Competition and received first place at the 2014 PAS Kosa NY Chapter Snare Drum Competition. Paul is also credited with playing snare drum on the Wu Tang Clan album “40th Street Black”, and with helping design and perform the opening to the 2013 Victoria’s Secret Fashion Show. Along with his performance and education experience, Paul has published a snare drum solo book through Bachovich publications, entitled “The Rutgers Solos”. As a dedicated educator, Paul has been inspired by many notable teachers; including Joseph Tompkins, Paul Rennick, Tom Aungst, Javier Diaz, Ken Riehman, and Kyle Zerna. Justin McAdams is excited to join the Hawthorne Caballeros staff as their vi sual designer for the 2019 season. He is the band director and district music coordinator for the Phoenixville Area School District in southeastern Pennsylvania and recently completed his 20th year of instruction as a lead clinician with the nationally recognized George N. Parks Drum Major Academy. Justin is no stranger to the Caballeros, as he was was previously on the brass staff with the corps in 2010. 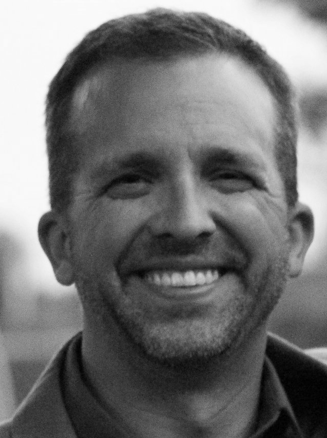 He is a regionally and nationally recognized drill writer and program consultant for marching arts programs at the high school, collegiate, drums corps, and winter percussion ensembles up and down the east coast. Next Post Introducing the Caballeros 2019 Caption Heads!